Homeindia post officeWhat is Consignment Number in India Speed Post? Speed post is a service offered by India Post. India post offers the service to the general public. Speed Post is popular for delivering the parcels within the time-bound and for secure delivery. India Post delivers international services and charges around 50% less than the private courier service companies. After acceptance of the consignment for Speed Post, you will receive a receipt. The receipt contains the details of the consignment as well as a consignment number. 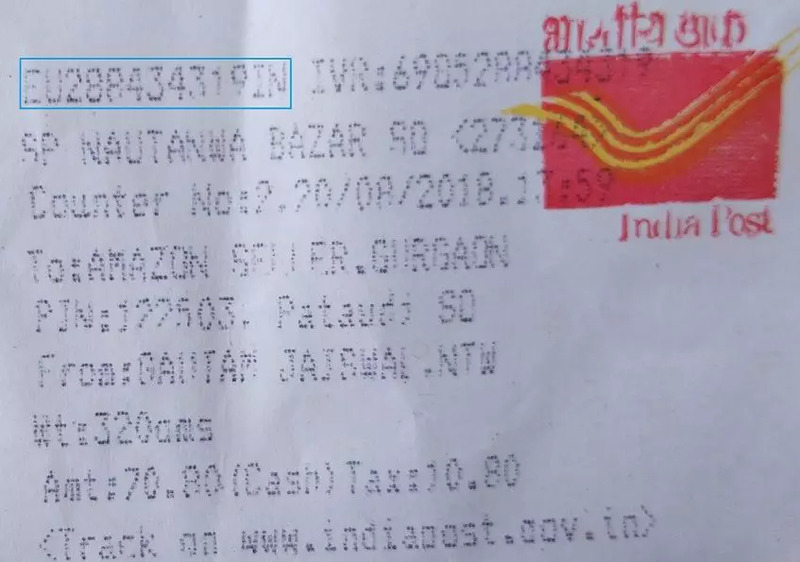 The consignment number is unique and allotted to every parcel. You can track the status or location of the consignment online via the consignment number. It is easy to track the status of the parcel within a few seconds. You need to follow a step-by-step procedure to track the location. Apart from the online procedure, you can send SMS and to track the speed post parcel. The receipt you receive at the post office counter after acceptance of the parcel is very important. Keep the receipt safe for future reference as the consignment number printed on it will help you to track the parcel's location. It is not a tough task to find the consignment number in the slip if you are unaware of it! Bring the slip and take a look at the printed information. In the second line, you will find a 13 digit code. This code is a combination of alphabets and numbers. You need the consignment number if you wish to complain as well, about the parcel. You need to keep the slip/receipt safe until you receive the confirmation message regarding the successful delivery of the parcel. You can use the alpha-numeric number every day until the parcel gets delivered at the right address. Step 1: Visit the official page of India post to track consignment https://www.indiapost.gov.in/_layouts/15/dop.portal.tracking/trackconsignment.aspx. Step 2: Enter the consignment number and evaluate the expression. Now just click on the Search button to know the current status of your package. Last 2 Letters are IN. In my case I mistook them as IM. For this reason it showed me the same, i.e. "Consignment details not found". Check for other similar mistakes. Verify first 2 letters and other digits also. Use google image search for 'India Post consignment no.' and try to guess the pattern. That is how I found my mistake and corrected it.